When I was diagnosed with M.E, I joined a charity called AYME and their message boards were an absolute lifesaver at a time when I was isolated and lonely. 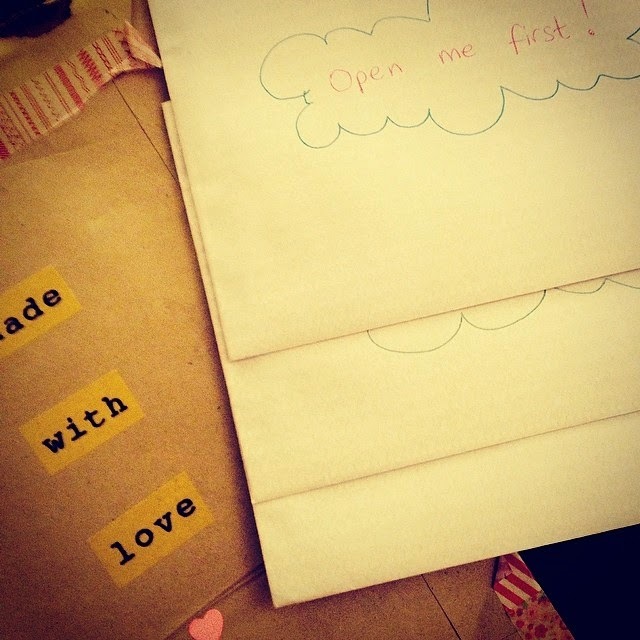 After a few years using the board, I decided to set up a Random Acts of Kindness (RAOK) scheme, where people nominated someone who was having a difficult time and I would organise something nice for them – cards, letters or a gift. I don’t use the boards any more, but recently I was reminded of my RAOK scheme. It’s something I really enjoyed doing, so I thought, why not recreate it, but on Facebook? So, that’s what I did this week! It’s still in the early stages, but we already have a couple of nominees that we are putting things together for. It would be great to have more members, so please take a look at the RAOK Group and request to join! This past week, there has been a strange looking yellow circle in the rather blue sky! Finally, after months and months of rain, cold and grey skies, the sun has made an appearance. 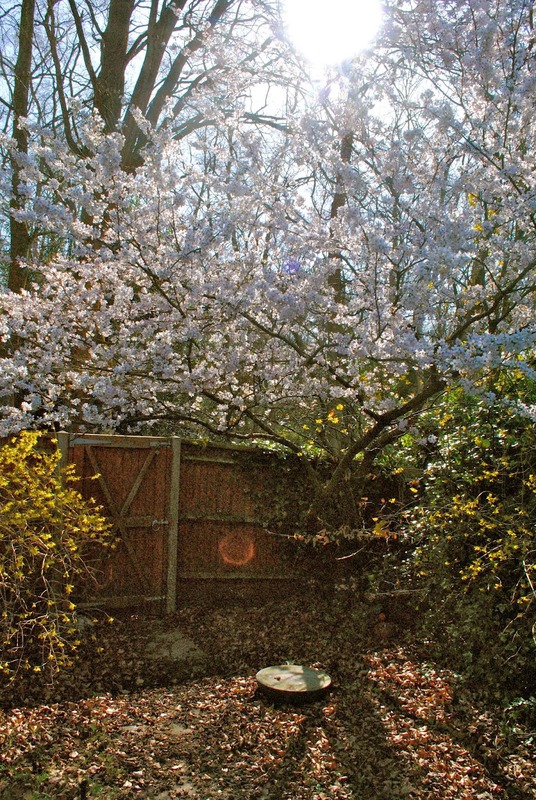 I’ve not been able to get out that much, but even just looking out of the window at the sun shining down on the beautiful Spring flowers in our garden has made me smile. And when I have been able to get outside, you can’t beat the feeling of warmth on your face, with a slight breeze in the air. Long may it continue! I’ve always loved post. Ever since I started getting pen pals I’ve always been excited to see the postman walking up our road. It’s not just receiving post that I like; I love sending it too. Picking some nice writing paper, rambling on about everything in my head and decorating my letter with funky stickers. But this week I was really spoilt with exciting post. Firstly, I got a lovely letter from a friend I’ve made in Winchester. Instead of just writing one letter, I opened the larger envelope and was presented with 3 separate envelopes, with the instruction to open them over three days – such a good idea! 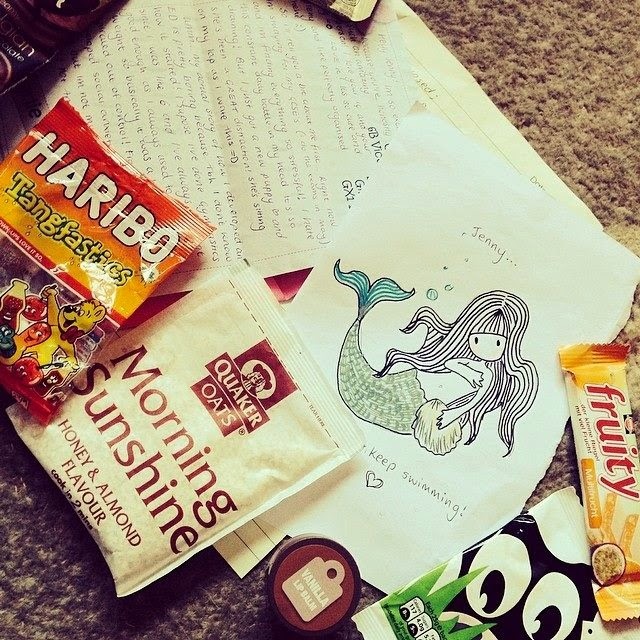 Then, the day after, I got a parcel from Gibraltar full of snack foods and a lovely letter. I’m already looking forward to sending some post back! I love the fact that you have pen pals :) It must be so much fun. Thank you Hannah! Having pen pals is great - I love it :) Do you have any pen pals?